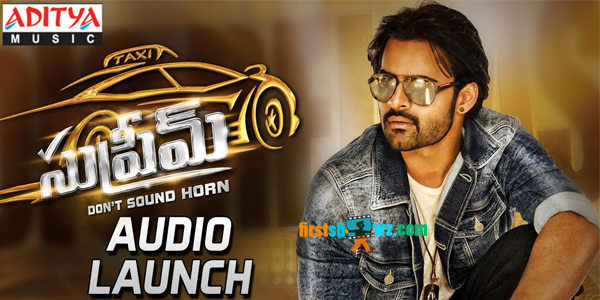 Watch Supreme Audio Launch Live featuring Sai Dharam Tej, Raashi Khanna in lead roles. The movie is directed by Pataas fame Anil Ravipudi and produced by Shirish under Dil Raju's Sri Venkateswara Creations banner. Sai Kartheek is the music director.